Stay a few nights or longer - there is no minimum stay required to receive special rates starting at $149 per night until December 19, 2014. Divi Little Bay Beach Resort is located on the South Coast of the island, and lies along a semi-private peninsula between beautiful Great Bay and Little Bay. 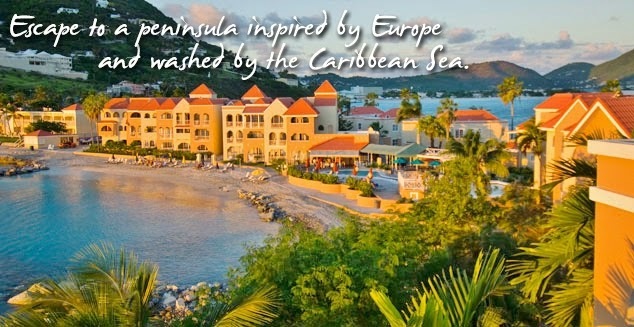 The resort offers a beautiful private beach which wraps around a soft, wide arc of white sand, and the location offers wonderful views of the cruise ships as they arrive into Great Bay. Guests are just a few minutes from the capital city Philipsburg, and a couple of miles from the islands shops, restaurants, and casinos. St Martin, the French side of the island, is just a 30 minute drive away. 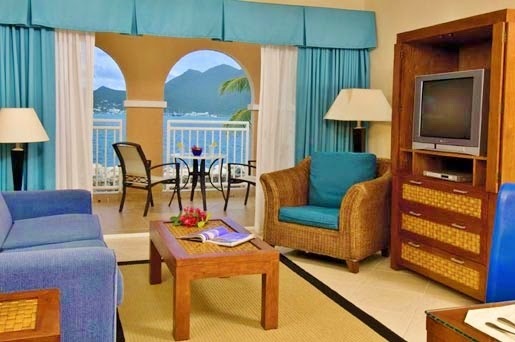 Spacious suites at the Divi Little Bay Beach Resort are perfect for families. Children 12 and under stay free when staying with an adult. For the kids, Divi Little Bay has a Kids Program - Treasures of the Caribbean. Studio Accommodations - offer private patios or balconies with views to Great Bay or Little Bay. Each studio offers a king-sized bed with a queen sleeper in the living area, fully equipped kitchen, air-conditioning, television with VCR, and clock radio. Some studios offer television with DVD player, CD stereo system, and jacuzzi tub. 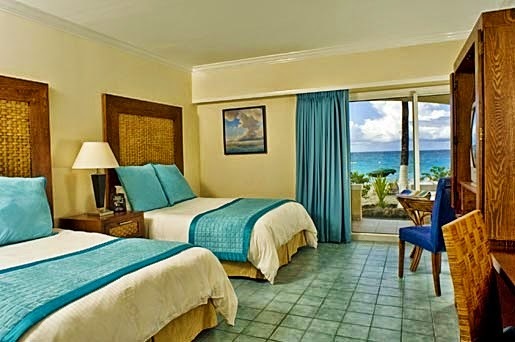 Beachfront Guestrooms - The guestrooms offer private patios or balconies with beautiful ocean views, walk-out beach access, king sized bed, or two double beds with air-conditioning, television, and clock radio. 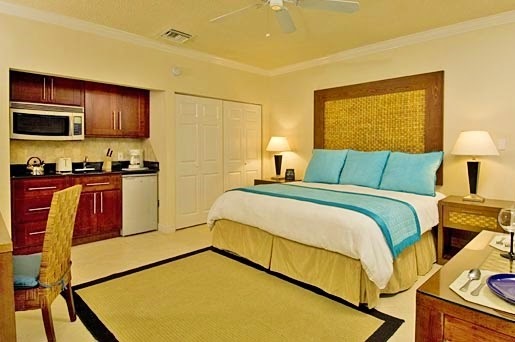 One Bedroom Suites - Private patios or balconies with sweeping views of Little Bay or Great Bay, one king bed or one queen bed, fully equipped kitchen, air-conditioning, television with vcr, and clock radio. Deluxe suite amenities include a fully equipped kitchen, television with DVD player, CD stereo system and air-conditioning. Most luxury suites offer one full bath, with one half bath. Divi Little Bay also offers Casita One Bedroom Luxury Suites which are located on the hillside with garden and pool views. The suites offer one king-sized bed in the bedroom, with a queen sleeper sofa in the separate living area. Upgraded amenities include thermostatic showers, flat screen televisions, DVD player, clock radio with iPod docking station, fully equipped kitchen with granite countertops, wood cabinets, and private patio. Guests also enjoy three fresh-water pools, lush landscaped grounds, a tennis court, water sports center, retail promenade with gift shops, jewelry, and crafts, children’s club, family activity program, and Wi-fi access.